Certain conditions must exist in order to detect anomalies within any building. First and foremost, the interior temperature must be a minimum of 15 - 20 degrees F. warmer (or cooler) than the exterior temperature. The winter months are more common for thermally scanning a building because the interior temperature will always have a Delta T (temperature differential) of 15 degrees or more when heating a building. Scanning a building in the summer months makes it more difficult because the building must contain air conditioning in order to bring the interior temperature 15-20 F. lower than the warmer exterior temperature. When interior and exterior temperatures are equal to each other, then infrared scanning becomes useless. • As stated above, it's crucial to obtain an adequate temperature differential (Delta T) between the interior and exterior temperatures, in order to obtain a perfect environment for thermal imaging. I'd like you to make sure that every window and door in your home is completely closed several hours before the infrared scan takes place. • If the temperature differential is not adequate, this may require you to turn "UP" the heat (in the winter months) or to lower the A/C temperature in the summer months. If you do not have A/C (in the summer months), I suggest you hire me for an early morning thermal scan. It's much cooler in the morning than it is during a hot summer day. If you are unable to obtain the adequate temperature differential inside your building, I suggest you re-schedule the infrared scan accordingly. I will be thermally scanning all of your most outer wall and ceiling surfaces from the inside of your building only. It is more difficult for an infrared camera to detect temperature differences and anomalies on the outside surfaces of a building due to the windy environment. Conditioned air that may be escaping from your building will not always move through the exterior walls in nice straight patterns due to the air movement outside. Because of this difficulty, all interior infrared surveys are generally much more accurate because they benefit from reduced air movement. • Plan optimal times of day for your infrared inspection — dawn and dusk. Example...If I’m inspecting a flat roof (in the summer months), the added heat from the strong sun beaming onto any flat roof surface will reduce the effectiveness of my thermal scan. I absolutely do not mind early evening or early morning inspections, so planning accordingly (in this particular situation) will give you much better infrared results. • Clear all of the outermost exterior walls of any large pictures, wall hangings, and furniture and appliances that are up against these outer walls. Also, remove or raise any drapes if possible. Do not be concerned with any interior walls (of your home) as these walls are of no concern for thermal efficiency. 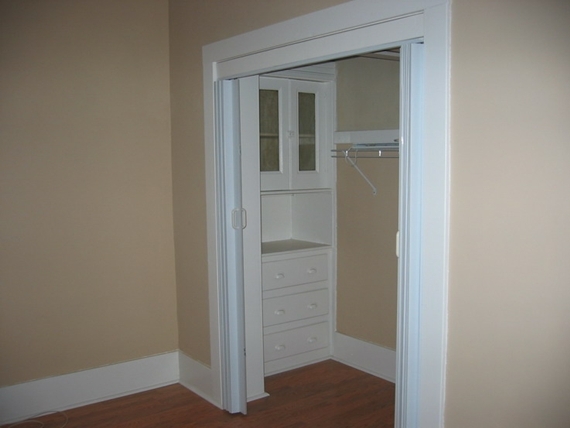 Opening your closet doors and conditioning your closet space will assist me in identifying any exterior wall defects within the closets. I am unable to move personal belongings due to liability reasons, so please make sure that the majority of your closet walls are clearly visible to the IR camera. Any blocked areas could conceal hidden issues. • IMPORTANT: Please (Do yourself a favor) do not wait until I arrive at your house before you decide to move your furniture and bedding away from the walls. I'd like you to get every portion of your walls conditioned for at least one hour, in order locate any concealed defects. Having furniture up against the wall will not allow the entire wall to be conditioned and the infrared readings will be affected. 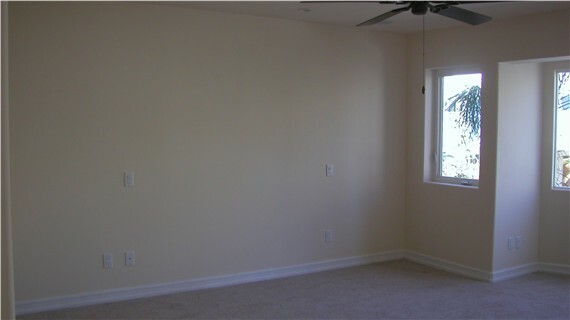 Unconditioned portions of the walls (where your furniture was placed) will always appear to be defective. Conditioned air will not pass through furniture. The above images are what my infrared camera will detect when pictures and furniture are removed during my infrared scan. If you are interested in having specific walls thermally scanned during my walk-through, please have wall hangings and furniture moved away from these areas one hour prior to my arrival. 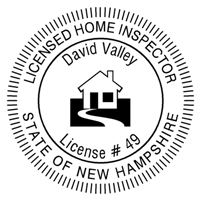 David Valley (Massachusetts Home Inspections) performed an infrared thermal imaging of my home and his service was outstanding. Mr. Valley was able to quickly identify hidden areas in the walls of my 85 year old home that were a source of heat loss. I found that his service was fairly priced and far exceeded anything that the local power company provided with regard to home energy auditing. I highly recommend his thermal imaging service.